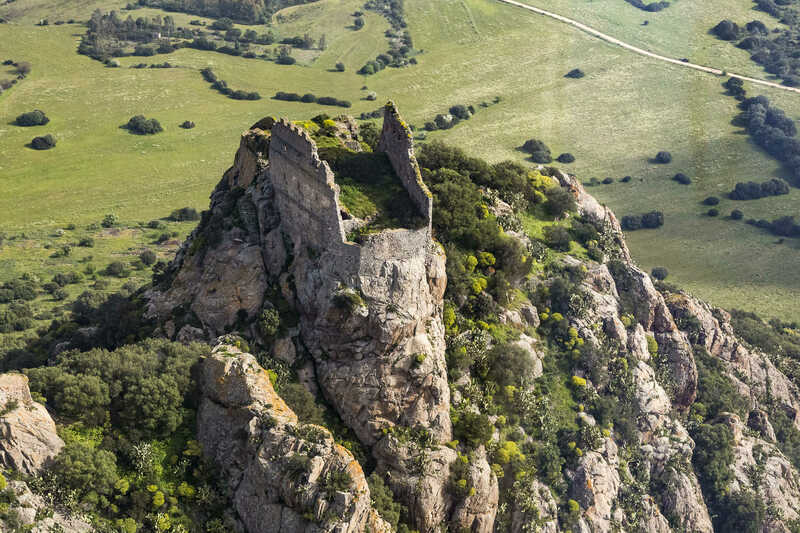 According to tradition, the castle of Acquafredda was built by the Donoratico della Gherardesca family when they took possession of the southwestern part of the Sardinia. 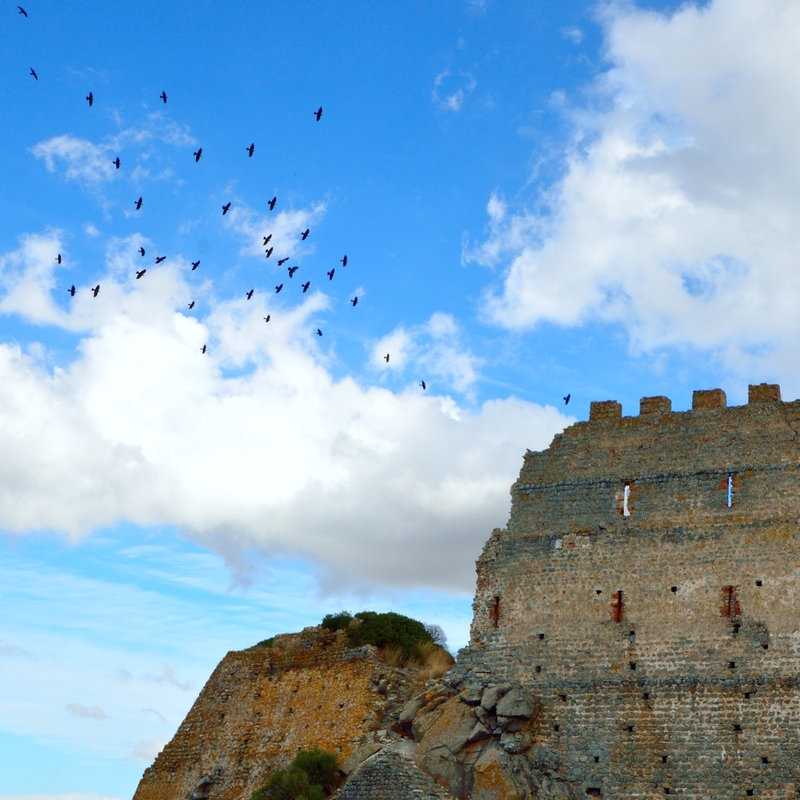 In fact, count Ugolino dei Donoratico, a nobleman of Cagliari who was immortalized by Dante in Canto 23 of Inferno in the Divine Comedy, became the owner of the castle in 1257, while the fortress is older and was mentioned in a papal bull of 1215. After the death of Ugolino (1288), it went to Pisa, then to the Aragonese (1324) and later on from one feudal lord to another until it was redeemed by Victor Amadeus III of Savoy (1785). 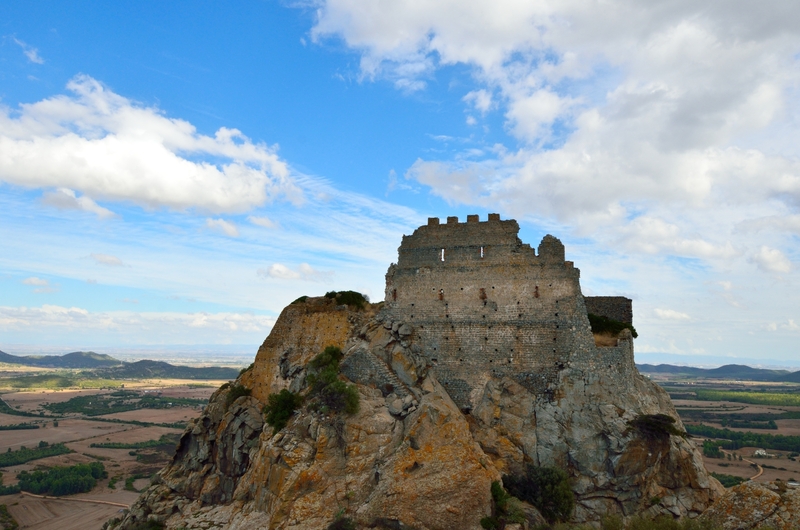 From the top of a hill, the castle dominates the territory of Siliqua, which is four kilometres away. After climbing its slopes, the landscape varies from the green valley of Cixerri to Cagliari and from Marmilla to the Iglesiente area. From sunrise to sunset, you can see its shadows growing longer across the valley. It rises up out of the Mediterranean scrub and it has three levels that blend harmoniously with the sloping ground. You will enter at a height of 150 metres through a door that was once defended by three towers joined together by a boundary wall. The central one still survives and has recently been renovated. Inside the defensive line, there was the village with dwellings, warehouses, stables, cisterns and mills. Halfway up, at about 200 metres, stands the formidable cistern tower, which provided a huge supply of water: not surprisingly, the name Acquafredda comes from a spring that flows from the rocks on the hillside. 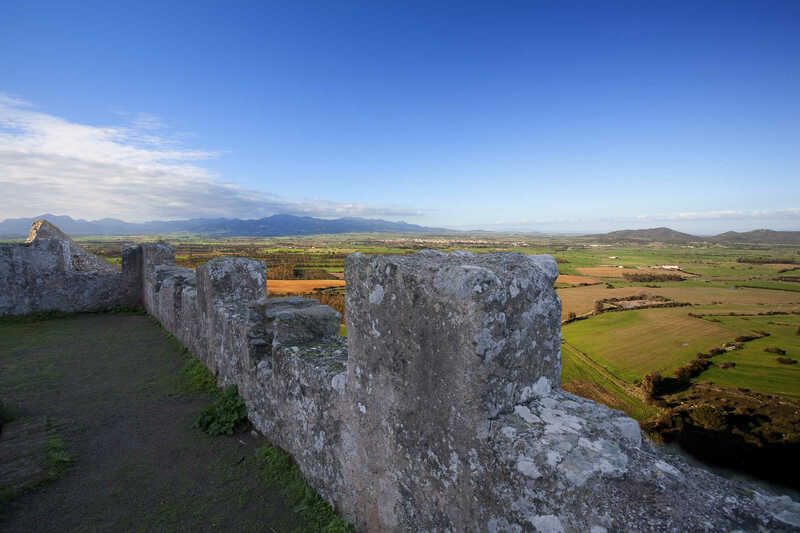 In the highest part (250 metres) stand the impressive walls of the fortified tower, the dwelling of the castellan, accessible via a drawbridge. The building had a basement with a cistern (still well-preserved), two floors and a terrace fortified with 'Guelph' merlons. The entrance led to an open space, around which the rooms were located. On the second floor, you can admire the watchtower, which is still intact: it is possible that Vanni Gubetta was also imprisoned there. He was the accomplice of archbishop Ruggeri (also mentioned in the Inferno of the Divine Comedy) in the betrayal of Ugolino. After the visit, you can take a break at the foot of the hill in a eucalyptus and pine forest with a picnic area. Here, you will be able to take a walk along paths and do some bird-watching in the territory of the andesitic dome of Acquafredda, a site with numerous areas of interest: nature, landscape, geology, flora and wildlife: rare birds of prey nest here and fly over the fortress: kestrels, buzzards and lesser kestrels.